Our agency, Knight Insurance, the undisputed low-cost leader for auto insurance in Pembroke Pines, Florida. We are locals helping our neighbors protect themselves and their motor vehicles, and we take our responsibility to this community seriously. This vibrant Broward County city is an extraordinary place to live, work, and play, and many people that can live just about anywhere choose Pembroke Pines. It is the home of National Football League Hall of Famer Lawrence Taylor, baseball legend Manny Ramirez, and longtime major leaguer Mike Napoli just to name a few famous residents. We can be easily reached by people all over town, from the Route 27/Sheridan Street section to City Center and everywhere in between. Simply put, for affordable car insurance in Pembroke Pines, Florida, Knight Insurance is the trusted resource. You may wonder how we can contend that we have the ability to provide rock-bottom prices for high-quality auto insurance. Unlike some insurance agencies that are held captive by a single company, we represent a number of different respected insurers. When you work with us, we enter your information into our system, and we get quotes from all of these different competing insurance companies. In the end, you can walk away with the knowledge that you are paying as little as possible for your Pembroke Pines, Florida car insurance. We understand the fact that everyone does not have a perfect driving record, and younger drivers are often faced with very high premiums. We work with people that have less-than-perfect driving histories, and they are usually very pleasantly surprised when they find out what we can do for them. 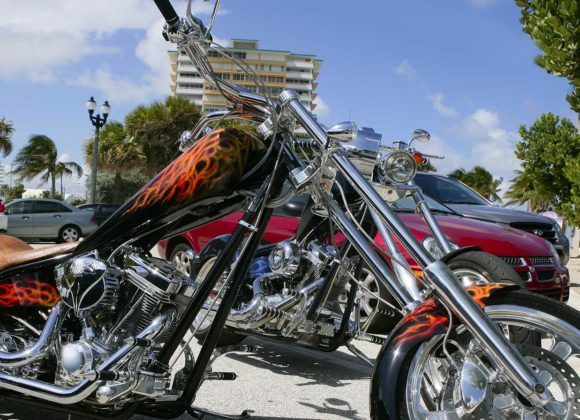 In addition to the car insurance and pickup truck insurance that we offer, if you ride a motorcycle, we can get you the coverage that you need at a price you can afford. Here in South Florida, many people have marine vessels, and boat insurance is another area of specialization for our agency. You can also rely on us if you need insurance coverage for your recreational vehicle. We have been able to build our business over the years because we go the extra mile to provide world class customer service on every level. Plus, we are proud to be able to say that we have a bilingual office, so Spanish-speaking people can feel totally comparable working with our agency. If you are ready to start saving money on your Pembroke Pines, Florida car insurance, give us a call at 954-382-5244.